Likewise, the report continued, The owners of two popular char kway teow stalls at Old Airport Road, Dong Ji and Lao Fu Zi, said they did not open the Old Airport Road Fried Kway Teow & Carrot Cake stall at Terminal 3. Nor is Mr Elvis Tan, 54, who owns East Coast BBQ Seafood at East Coast Lagoon Food Village, behind the airport's new East Coast Lagoon BBQ Seafood stall. I told you it was serious stuff. 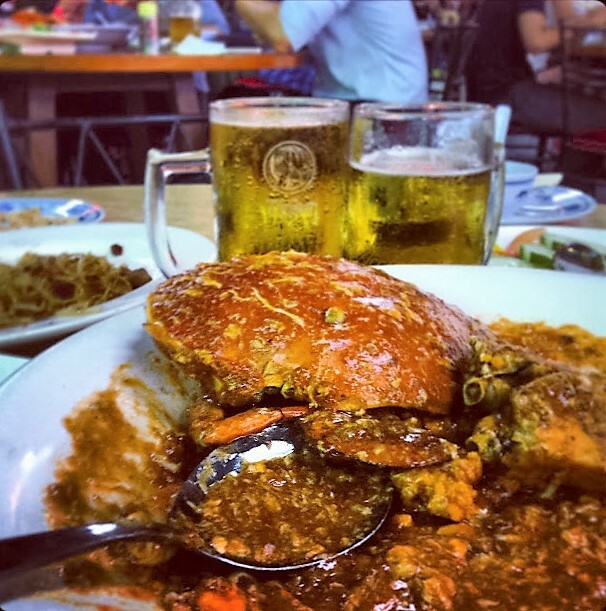 It's no secret that Singapore is a food city. The place seems to exist just for eating. Everywhere you look people are eating, eating, eating. And if you've ever visited you'll know why. The place is bloody delicious. I could happily stay awhile and just eat, navigating the kaleidoscope of cooking and cuisine by the clang and clatter of woks and pans and the rattle of plastic chopsticks. An eatinerary that ambles from food court to hawker centre, from fast-food favourites to fine diner. It would be quite the trip, that one - Expedition dining. You can keep your Singapore Flyer and Universal Studios, your Gardens by the Bay and Merlion. Just feed me. And yet, even though Singapore is a comparative stone's throw away, and there are cheap, direct flights from my local airport, I suspect it'll be a while before I can indulge in such a trip. And what an indulgence it would be. For now, though, I'll happily continue to scoot through Singapore with my kids in tow. If you travel with kids, fussy ones in particular, you'll know that food can be a major flashpoint of there's nothing here I like frustration. So, in a place like Singapore, where on Earth do you start? Here are my two cents on three safe Singapore food launch-pads for kids. We're really lucky to live in regional Australia and have an emerging international gateway airport just 45 minutes away. Even more fortunate that it's serviced by the big yellow birds of Singapore-based low-cast airline, Scoot. 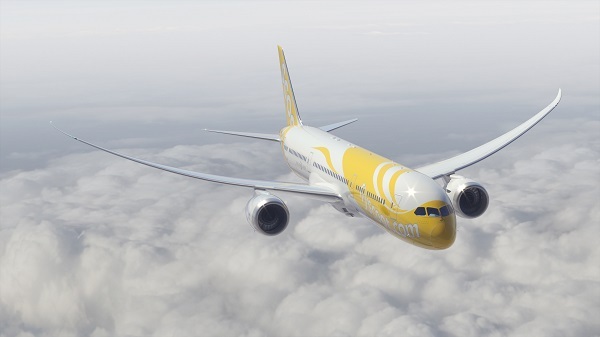 We flew Scoot en-route to Cambodia and enjoyed the service to Singapore immensely, even the food. We pre-ordered and paid for the airline's Singapore Signature Chicken Rice, a version of the deceptively simple Hainanese chicken rice – one of the island city-state's national dishes. Chicken rice is everywhere in Singapore, a delicious ensemble of boiled chicken with fragrant rice and a spicy chilli and ginger paste lauded by the likes of Anthony Bourdain and Gordon Ramsay. And Scoot's version? Absolutely perfect for Miss 13's fussy (you have no idea) palate, and devoured in milliseconds by Master 9. 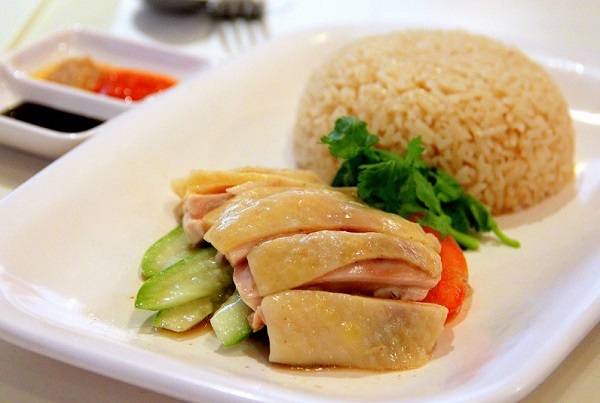 Chicken rice's simplicity might just make it the perfect in-flight meal. Scoff if you will. We did. Singaporeans have been enjoying Bee Cheng Hiang’s finger-licking, traditional meat snacks for decades. Warm, sticky, glazed sheets of pork, beef and chicken fill the windows and counters of Bee Cheng Hiang stores all over Singapore, and the make absolutely the perfect mobile snack or accompaniment to an icy cold refreshment. Personally, I am unable to walk past a Bee Cheng Hiang without buying a spicy portion or two of sticky goodness. And so it was on our first outing that our kids learned of the wonder that is Bee Cheng Hiang. I'd visited Gluttons Bay on a previous visit to Singapore and, whilst I acknowledge it's a bit touristy, it's a great introduction to Singaporean street and hawker food. A short strip of a dozen or so stalls between Marina Square shopping mall and the water's edge on Marina Bay, Gluttons Bay offers a safe haven for the unadventurous diner - ideal for kids, and yet enough mystery for the experimental muncher. Little more than an hour after collecting our bags at Changi Airport we were tucking into plates of Singaporean goodness and toasting our very good fortune. So after weeks of pre-departure What will we eat? angst, there we were in our Asian gateway, three successful food encounters down, many more to come, and definitely not hungry. Was it all 100% authentic? No way.